Norcross, GA. 13, 2019 – EasyCare®, an innovative dealer solutions provider and administrator of F&I benefits, recently received three awards recognizing it as a top employer nationwide. EasyCare was recognized by the National Association of Business Resources (NABR) as one of the “Best and Brightest Companies to Work For®” in America for 2018. This award honors companies that deliver exceptional human resource practices and an impressive commitment to their employees. Organizations undergo a rigorous application process that assesses categories such as communication, work-life balance, training, diversity, recognition, retention and more. 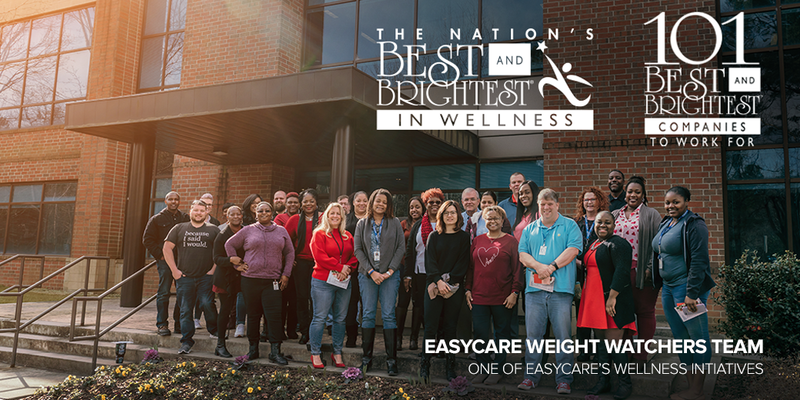 This 2018 win marks the third consecutive year that EasyCare made the “Best and Brightest Companies to Work For” list. Sister-company GWC Warranty made their second appearance on the list in 2018. Additionally, the NABR recognized EasyCare with a 2018 “Best in Wellness” national award. This designation is granted to employers who promote a culture of wellness, and that plan, implement and evaluate efforts for employee wellness on a consistent basis. To learn more about open employment positions at EasyCare®, visit easycare.com/careers. EasyCare’s mission is to help dealers succeed at every customer touchpoint by creating passionate employees and customers. Whether it’s protecting the dealerships’ customers on their behalf or helping deliver the ultimate driving experience, EasyCare is fully engaged. Since 1984, the company has provided leading-edge benefits that have helped nationwide dealers deliver an outstanding ownership experience to over 8.5 million customers nationwide as part of APCO Holdings, LLC. EasyCare provides the only F&I benefits that are named a “MOTORTREND Recommended Best Buy” for franchised dealers and is committed to providing its dealer partners with service products, training and technology to make them more successful. EasyCare is part of APCO Holdings, also home of GWC, SAVY and Covideo brands. 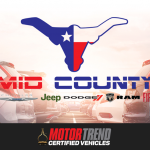 The company markets its products through a network of independent agents and an internal salesforce that specialize in consulting with and servicing the automotive dealership markets. For more information about the APCO Holdings family of brands please visit www.EasyCare.com, www.GWCwarranty.com, www.Savy.com, www.Covideo.com. EasyCare®, an innovative dealer solutions provider and administrator of F&I benefits, recently received three awards recognizing it as a top employer nationwide. APCO Holdings and its EasyCare brand earn coveted spot on “Atlanta’s Top 50 Private Companies” list by the Atlanta Business Chronicle. MOTOR TREND Certified earned a spot on the coveted Auto Remarketing POWER 300 list, which includes the major players in the used-car and remarketing industries. My goal was to deliver an exceptional experience for our RV dealers and RV agency partners that set the standard in our industry. The ultimate objective is to help them create customers and employees who are passionate about doing business with EasyCare’s RV dealers. We have come a long way and are in a place where we provide industry-leading solutions that keep our dealers are the forefront of innovation, as well as a full suite of F&I benefits that give optimum peace of mind to their customers. EasyCare® was recognized by the National Association of Business Resources (NABR) as one of the “101 Best and Brightest Companies to Work For®” in America for 2017.